May infect other people who come in contact with trash. 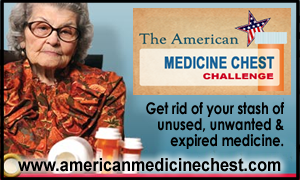 Unwanted or expired medicines or pharmaceuticals could be harmful to children or adults. Unused pharmaceuticals found in the trash may be stolen for unregulated use. Antibiotics poured down the drain can kill beneficial microbes and bacteria in septic systems. Keep sharp objects such as needles, syringes, and lancelets in secure containers out of the reach of children. Do not use glass. 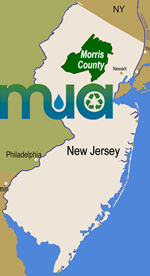 Click here for Morris County specific issues related to medical waste. 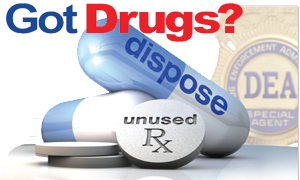 Dispose of prescription drugs safely and bring unused or expired prescription drugs to participating Morris County towns. Click here to view the drop-off locations. The Morris County Sheriff’s Medical Collection Unit was started in 2013. A designated municipal police officer and a Sheriff’s Officer collect the medications from the locked boxes that are kept in the lobbies of the local municipal police departments where people discard medications in a safe and secure location. This program is for residents only. Doctors’ offices, pharmacies, and other medical institutions must dispose of drugs via FDA/DEA guidelines. USDEA typically holds National Prescription Drug Take-Back Days in April. Go to their website to see announcements of new programs and to view a listing of Morris County drop-off locations. Locations are usually publicized and available about one month prior to the collection day. The National Prescription Drug Take-Back Day aims to provide a safe, convenient, and responsible means of disposing of prescription drugs, while also educating the general public about the potential for abuse of medications. Project Medicine Drop (click here) is coordinated through the NJ Div of Consumer Affairs and provides the opportunity to discard unused prescription medications every day throughout the year. The participating police agencies maintain custody of the deposited drugs, and dispose of them according to their normal procedures for the custody and destruction of controlled dangerous substances. They report the quantity of discarded drugs to the Division of Consumer Affairs on a quarterly basis. The Division expanded the program in 2012, to include police departments in each of New Jersey's 21 counties. Click on the links above to find locations of disposal programs. DisposeMyMeds.org (click here) is an online resource sponsored by the National Community Pharmacists Association (NCPA®). Its members and partners provide safe disposal of unwanted consumer medications in local community pharmacies around the country. Click here to find a participating community pharmacy near you. Note: some limitations may apply, including the return of controlled substances.Check with your local pharmacist. If you cannot dispose of unwanted medicine using disposal programs described above, you may place medicines and/or drugs in the trash. Note, this is not the preferred method. If disposing of medicines in the trash, destroy (crush/pulverize) the medicine rendering it undesirable, tightly wrap and place in the trash. Click here to read a document prepared by the NJDEP describing this technique of disposing old medicines in the trash. Do not flush medicines down the toilet or pour into the sink. Take part in a Safe Syringe Disposal Program offered by your area hospital. Place disposable sheets, medical gloves and soiled bandages in plastic bags and securely fasten before you put them in the trash. Just drop off syringes at the front desk, but they must be in a sealed, hardened container. 973-971-4177 - Containers for syringes can be picked up or dropped off at the outpatient desk located on the right after going into the main entrance. Hours are M-F, 7:00am-7:00pm and Saturdays 7:00am-3:00pm. Syringes must be empty and syringe containers cannot be more than 3/4s full. People may pickup empty syringe containers and drop off full ones at the Access Center. All syringes must be in containers. Hours: M-F, 6:00am - 8:00pm and Saturdays 7:00am-3:00pm. 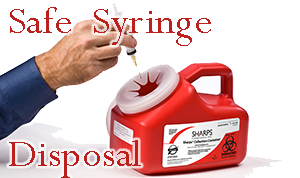 Note: in addition accepting sharps and/or syringes for disposal,these safe syringe disposal programs will also accept epipens for disposal as longs as they are empty and packaged in hardened containers like sharps and syringes. MedPro Disposal- Provides reliable, cost-effective biohazard waste removal, pharmaceutical destruction and OSHA compliance training services to healthcare providers throughout the US. Interested parties can call MedPro Disposal for prices & details at 886-641-6131. Waste Management, a waste hauling company has a “Sharps Disposal by Mail” program. Participants are provided with an approved disposal container and mail full containers for disposal using US Postal Service. Interested parties can call Waste Management for prices & details at 877-WASTE-MD.